When you’re starting a new business, you have a lot of things to consider – and all too often people overlook a lot of basic things. They are so enthusiastic about the idea of running their own business that they get hung up on executing the idea and forget about the practicalities of ‘running the business.’ There are many legal measures that are important – and that must be followed if you want to protect your company’s future. Let’s take a look at some common legal mistakes. If you hold assets, allow members of the public into your business, or give advice, then you need limited liability. Indeed, it’s fair to say that every business should have limited liability. If someone uses a product you made and gets hurt, they might sue you. If someone gets hurt on your premises or suffers loss because of the advice that you have given them, then you could be liable. Limitation of liability, through the right legal structure, will protect you. Be sure to get legal advice before setting up a company. There are different accounting requirements for limited companies compared to a sole trader or a partnership, and that’s something that you will need to familiarize yourself with so that you don’t get caught out at the end of the financial year when you’re rushing to finish your reports. Another issue that a lot of less business-savvy people run into contracts issues. If you’ve worked for a company for a long time and you’re used to just doing what your boss tells you, then you might be a little easy going and accept deals sealed with a handshake. If you’re lucky, you’ll get away with that for a while – but there’s always the risk that something could go wrong and that you’ll end up dealing with someone who is not willing to follow through. If you don’t have a contract, you’ll have no recourse. Always get things in writing, so you don’t get hurt. You are required to pick a company name that is unique – or at the very least unlikely to cause confusion with other customers. If you’re a sole trader running Joe’s Sandwich Shop in one city, and another person has Joe’s Sandwich Shop in an entirely different state, that’s not likely to cause issues. However, if you run Sally’s Online Shoe Shop and there’s already another online shoe shop with the same name, that’s going to cause a problem. Don’t wait until you get a cease to change your name. That could be expensive. It could destroy your brand. You would be much better off if you picked the right name, to begin with, so that you didn’t need to redo your logo, reprint your stationery, do a new website with a new domain name, and work on your branding. It pays to do your homework before you start trading. Learn as much as you can about what it takes to run a successful business. Talk to some business advisors and learn what you can do to prepare the business and get it off to the best possible start. Running a business can be a lot of fun, but it is a big responsibility as well. It does give you freedom, but you still have a legal responsibility to keep good records, file your tax returns, pay your employees properly, and make sure you have insurance to protect yourself, your customers and your employees. There are plenty of business advisors that will help you to plan and prepare your business, and that will highlight any potential issues or things that you might have forgotten. Don’t get so hung up on getting your business going that you launch without having the correct procedures in place. One mistake or unfortunate series of events could cause you a lot of trouble and could set your business back a long way – especially if you attract the attention of a bigger company that is concerned about intellectual property. Take advantage of the expertise that is out there. You won’t regret it. Profiling customers in any business is not an easy job. You have to take a look at the cold hard facts and draw your conclusions from the data presented. Depending on the location of the self-storage facility, owners will undoubtedly see a difference in the groups of people and their personalities using them. The consensus, however, seems to be that most commonly, storage facilities are used by people looking to clear out their homes, or they’re in the midst of moving. Though certainly not a fact, a certain storage facility saw that almost an equal number of men and women employed the use of the storage facility. Even more importantly, the middle class and upper middle class were the crowds a self-storage facility attracted. 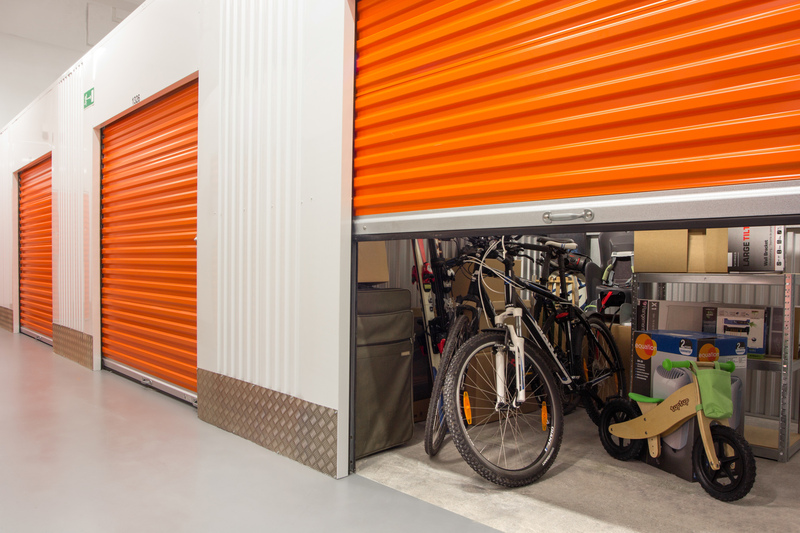 The average stay at a storage facility was proven as less than six months, but the demand for space and climate controlled units has increased. Now, let’s take a look at the top three customer types and their personalities that rent self-storage units! This is an individual that moves around a lot, possibly for work or they’re just looking to enhance their knowledge of the world. Unfortunately, with rent extremely high in most places, it’s simply not feasible to keep renting an apartment or house while the person is away. This type of relocation often begs the question of: where will all the stuff go? Some may certainly choose to downsize permanently, but most people simply can’t let go of their stuff, which is where a self-storage unit comes into play. Self-storage units can be rented for the long term, and frankly, as long as you pay on time, there are no worries about your belongings. Of course, not all people moving choose to keep their stuff there for the long term, and a storage unit is great if you need to move right away and you a) haven’t found a new rental or b) you need to be out of your current residence by a certain date. No one can argue that the terms collector and hoarder often go together. After all, where do you draw the line with acquiring stuff? Many collectors spend years building their collections out of carefully chosen artefacts, only to woefully discover that they have run out of space. Space doesn’t always have to become a hurdle as you never know what the future brings, and you may even buy or rent a larger home down the line. A storage facility that’s climate controlled can offer ample protection for your prized possessions as long as they’re properly boxed. Collectors often think of culling their collections, but the reality is that very few succeed. After all, those items were purchased for a reason and getting rid of them simply doesn’t make sense. Storage units have helped millions of people regain their grasps on reality and give them back much-needed control over their home turf. There seems to be a rising trend in people claiming to be minimalists only to have their garages and basements filled with the things they can’t bear to part with. It seems to be a double-edged sword because you can’t be a minimalist with lots of stuff, but some of that stuff you just want, need or will need in the future. If you’re embarrassed to show your house or apartment to friends and family, you can reclaim your reputation as a minimalist by placing your extra items into storage. In fact, a storage unit can help you downsize as it allows you to see whether or not you can learn to live without those things in the first place. In some instances, the answer is a resounding no! You can still be a faux-minimalist by culling the things you don’t regularly use and keeping them in a self-storage facility. There you have the top three customers who actively enjoy the use of self-storage facilities. These are the customers that faithfully rent anywhere from a few short weeks to several years from the same business. Ageing is an inevitable process that every living thing undergoes. However, nobody wants to age, and it is the reason why you keep hearing about new treatments and products all claiming to slow if not halt the process. Anti-ageing clinics like this one, provide different services all designed to slow or halt the process of aging. Dermal fillers are injections designed to work instantly to add volume to the skin for the purpose of reducing wrinkles and lines. Dermal fillers are also used for plumping cheeks and lips and improving the appearance of the hands. Hyaluronic acid fillers are some of the most popular brands since they are not derived from animal sources but rather from a substance that occurs naturally in the human body. Hyaluronic acid fillers are a less invasive and more affordable alternative to facelifts. Botox is a word you have probably heard of if you have ever read celebrity magazines. Botox might not necessarily have the best reputation, but it has the potential to deliver great natural-looking results when properly administered. It is usually injected into the upper half of the face. It works by blocking the signals from the nerves to the muscles. It is designed to soften the dynamic lines due to the movement in the face resulting in a more youthful appearance overall. Laser resurfacing works to combat deep wrinkles and lines by delivering small light beams onto the skin. Besides reducing the appearance of wrinkles, laser resurfacing can also reduce other signs of aging including stretch marks, age spots, and hyperpigmentation. Fractional laser resurfacing works on small patches of skin at a time and is less harsh than other laser treatments thereby allowing for shorter recovery periods. Microdermabrasion is a type of mechanical exfoliation that does not involve any chemical or laser treatments. It works by removing the dead skin cells to reveal the smooth, healthy skin beneath. Medical grade dermabrasion stimulates new cell growth by pushing the active ingredients deeper into the skin, which makes it highly effective in reducing the appearance of wrinkles and fine lines as well as pigmentation. Dermarollers create tiny puncture wounds in the skin for the purpose of stimulating collagen production. Once you have undergone the procedure, your skin will start feeling smoother, and it will look more youthful. For the best results, it is advisable to undergo 3 to 5 treatments although some people notice a difference just after a single session. Chemical peels involve the application of a chemical solution onto the skin, and it can be done in one session or several sessions. Chemical peels are designed to combat several different aesthetic problems such as age spots, oily, uneven, or sun-damaged skin. Exercise is highly recommended for people of all ages since it helps to maintain your overall health. Anti-aging clinics regularly recommend exercise to their patients since even the most minor exercise habits have the potential to improve overall health and slow down the aging process. You are what you eat, and beauty is only skin deep. While these two are common clichés, it is important to watch what you eat since it has an impact on your overall health and appearance. Anti-aging clinics recommend eating natural foods including unprocessed vegetables and foods to slow down the process of aging. Anti-ageing clinics usually recommend supplements to supplement all the other anti-aging treatments discussed here. The supplements range from the human growth hormone to daily vitamin supplements and everything in between. Some of the supplements focus on specific things that worsen with age such as energy levels and memory. Aging is a completely natural process, but it does not mean that you cannot slow it or even halt it. The services discussed in this article are the ones that anti-ageing clinics provide. If you would like to have a more youthful look, you should visit one such clinic for recommendations on the best treatment or visit this blog.